Effectiveness versus Efficiency - an eternal challenge. Those of us who've grown up in manufacturing naturally lean toward to latter. We know how to do things right - how to reduce waste & thereby, Lead Time. As Taiichi Ohno famously said, "All we're trying to do is reduce Lead Time." Efficiency - (Execution, Operational Excellence, call it what you will) - often trumps everything. What if Efficiency is not the constraint? Can you think of any examples of value streams that are inefficient, but still fabulously successful? Are Apple's value streams the most efficient? Is the IPad, for example, as well built, as, say, a Toyota Corolla? But Apple's design is so transcendent, it doesn't matter. When Steve Jobs unveiled the IPad, everybody wanted one. Price and robustness were not an issue. In other words, here, Effectiveness trumps Efficiency. Don't want to be misunderstood. I am not saying that Efficiency is of no consequence. Quite the contrary. 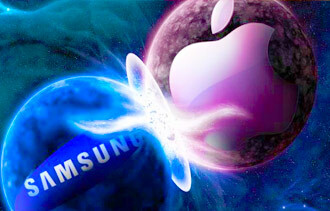 In fact, Samsung's combination of strong design plus robust manufacturing is challenging Apple. The combination allows Samsung launch multiple products, cull the losers, and double down on the winners. Please reflect on these ideas - in Strategy, above all. A common, subtle failure mode is focusing on Efficiency, when it's not the constraint. PS Reflections of a Business Nomad - the audiobook is in progress! We're in the recording studio now. Keep you posted. Thanks for your encouragement. Hear you loud and clear. My mailbox is located about 10 minutes away from my house. It's faster for me get my mail while I'm in my car returning from an errand. I never do. I like to take a leisurely walk through my neighbourhood on the way to my mailbox. If I tried to make this task more efficient, I'd lose out on a lot of great conversations and the smell for freshly cut grass on a sunny summer day. Similarly, when serving customers, we need to understand what they want before getting into the business of producing stuff.